Looking for something great to watch? Some movies don’t get the kind of press they deserve. Once they’ve run their course in the theatres, they’re banished to the forgotten annals of digital streaming services such as Hulu or Amazon Video. Luckily, you know better. You know that the internet has given some deserving films a second chance. You’ll want to add these movies to that list. You’re certain to enjoy at least one of them. It’s quite possible you’ve already heard of The Girl with the Dragon Tattoo after its 2011 release, but did you know the original film debuted in 2009? It’s considerably different and you’ll need subtitles to view it if you don’t speak Swedish, but it’s a much better movie. 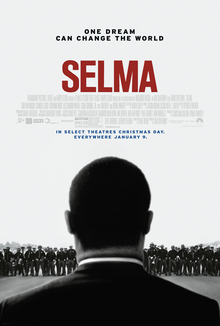 If history is your thing, there’s an excellent documentary about the American Civil Rights Movement and the story of Martin Luther King, Jr. Not surprisingly, it’s a powerful story because it really happened. Yet much like real life, there are no happy endings here. This one’s absolutely worth your time. As old as it is, many people still haven’t seen Metropolis. It is by far one of the most influential science fiction movies you’ll find. Once you’ve seen it, you can start to recognise the countless modern films that drew their inspiration from this film. Fun fact: this is a silent film. Any other films you’d like to mention? Feel free to leave a comment below!